Kombat Tag now offers Michigan archery enthusiasts the chance to safely enjoy the world of combat sports and LARP-ing (Live Action Role Play)! Arrow Tag is an exciting and competitive new archery battle sport that combines the fast-paced excitement of dodge-ball and the thrill of paintball while using "old world" skills with soft-tipped arrows. Whether it hurts or not depends on who you ask, but most players agree that it is virtually painless and leaves no marks. Kombat archery games are recommended for players ages 10 and up. If you can draw back a 25-pound bow, you can play! Previous archery experience is NOT required. NOTE: For safety, arrow tag cannot be played outdoors after dusk without proper lighting. Kombat's arrow tag is a perfect solution for birthday parties, small office parties, family reunions, or bachelor parties. The Private Package is a kombat archery battlefield experience for small groups of less than 15 players. Add additional bows for just $20 each. *Pricing is for weekday Monday - Thursday. Weekend premium applied for Friday - Sunday. Does not include additional travel expenses. Kombat Tag provides indoor/outdoor arrow tag for your youth group, sports team, school group, fair/festival, corporate parties, or any other large venue. The Group Package provides archery battles for large groups of 20 or more players. Additional time for just $150 each additional hour. 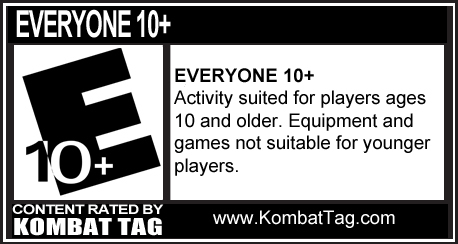 Please plan to allow approximately 2 hours for your Kombat event. Necessary set up time isincluded the final price. *We strongly recommend a minimum age of 10 years for competitive play. Minors must have parent/guardian consent prior to play. We reserve theright to deny any player due to safety concerns. SECURE YOUR DATE: A deposit of $50 is required to secure your event date. Your chosen date is tentativeand can be scheduled by another party until your deposit is received.We accept cash or check. Not sure which package is right for you? Call ourEvent Specialist for assistance. See a sample of game play from another vendor.